Average weight is 740 pounds. This picture shows a 10 inch pipeline section being pulled over D.C.I. pipeline rollers. 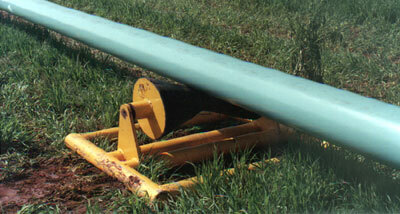 This picture shows a 20 inch pipeline pull section positioned to begin pull back operations. 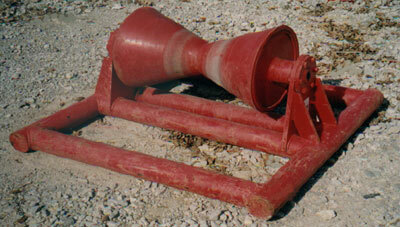 Notice the rollers have large bases that can easily be cribbed up with skids to adjust for right of way contours.